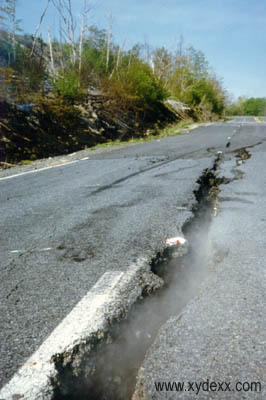 When you first arrive in Centralia, it will almost seem like a normal town. 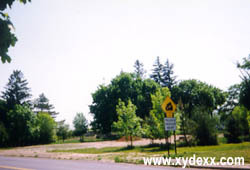 There are well-kepts lawns and a few scattered houses with people living in them. 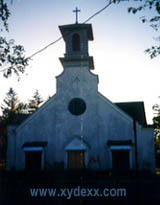 If you didn't know what was going on underground, you'd assume it was just another small town. 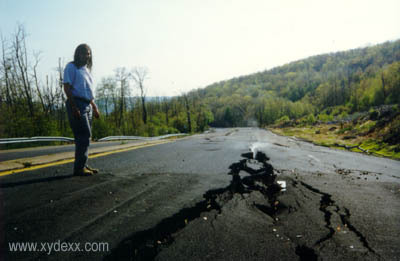 You need to drive to center of town to get the full effect of what has happened to Centralia. Picture a town of 1,100 people—with 99% of the buildings removed with little or no trace they even existed. 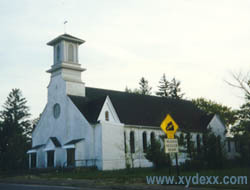 If you want a good comparison, drive up the main road through Ashland, the town just south of Centralia. 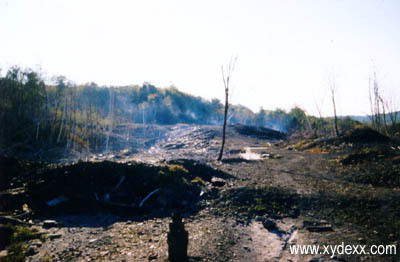 I use Ashland as a point of reference for what Centralia looked like before the mine fire. 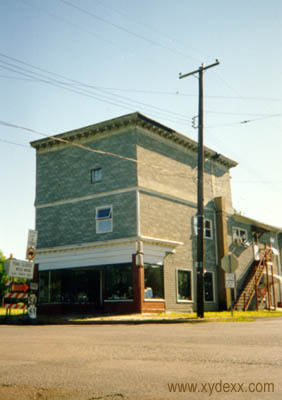 Today, Centralia is criss-crossed by a grid of empty streets, with a few lonely row houses in random places. It has a surreal, Twilight Zone feeling to it. 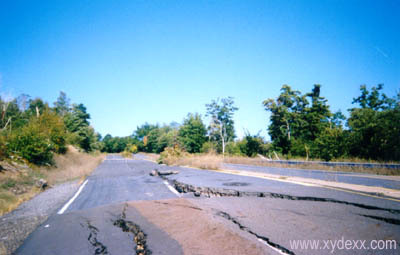 Here are some of the pictures I've taken on various trips to Centralia. 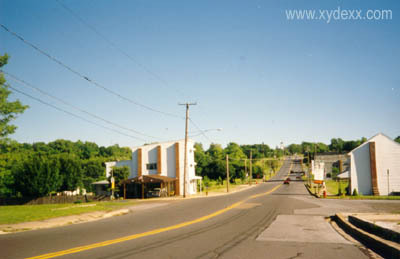 Locust Ave. in Centralia, PA - looking south. A park bench in the center of Centralia, PA. Smoking wasteland near South St.
Closeup view of the crack in Highway 61. 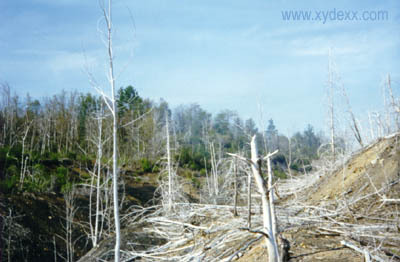 The Speed Spot, which burned down years ago. 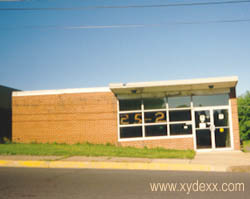 The Centralia, PA post office, no longer there. 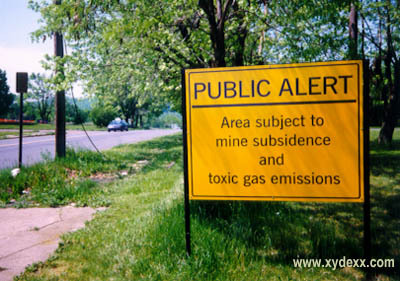 Sign warning of toxic fumes and mine subsidence. 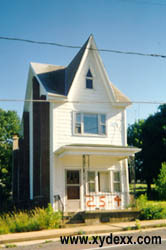 One of the row homes, no longer there. 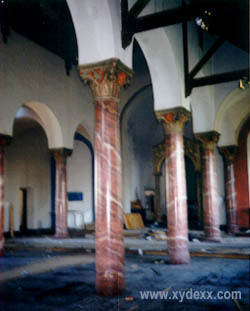 Inside St. Ignatius Church before it was torn down.